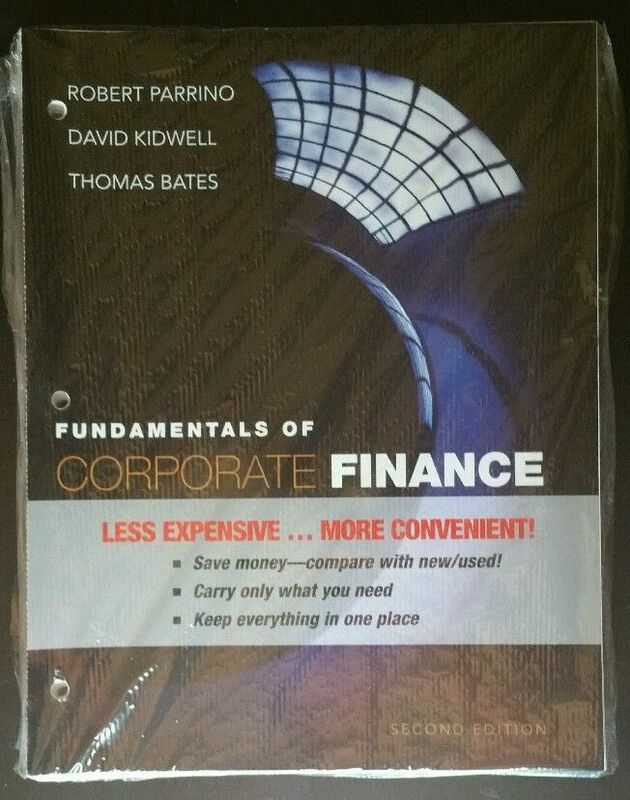 This text is an unbound, binder-ready edition.Fundamentals of Corporate Finance, 2nd Edition offers an innovative integration of conceptual understanding and problem-solving… of intuition and decision-making… of the authors’ industry and classroom/research experience…with current real-world examples and online practice. Authors Robert Parrino, David Kidwell, and Thomas Bates believe that students who understand the intuition underlying the basic concepts of finance are better able to develop the critical judgments necessary to apply financial tools in real decision- making situations. Their text develops intuitive thinking while simultaneously helping students develop problem solving and computational skills. It then shows students how to apply intuition and analytical skills to decision making while integrating it all with valuation and building shareholder value.